Add your STEM programs to the Connectory to promote them! Sign Up to be a Million Women Mentor! Sign Up to be a FabFems Mentor! Have an event, resource, or article you want us to feature in our next newsletter? Email us at NYSTEAM4girls@gmail.com ! New York Science, Technology Engineering, Arts, and Math Girls Collaborative ( NY STEAM GC) is the New York project of the National Girls Collaborative Project ( NGCP) and is convened by the University at Albany. To bring together organizations through New York that are committed to informing and encouraging girls to pursue careers in science, technology, engineering, and mathematics (STEM). 1. Maximize access to shared resources in order to expand girls' participation in STEM. 2. Strengthen capacity of girl-serving STEM organizations by sharing exemplary practice research and program models, outcomes, and projects. 3. Use the leverage of a network of girl-serving STEM programs to create the tipping point for gender equity in STEM. The Smithsonian Latino Virtual Museum (LVM) is a transmedia hub for 2-D and 3-D collections, online games, simulations, and virtual worlds highlighting the Smithsonian's art and science collections as they relate to U.S. Latinos. The LVM provides a Teacher Tool Kit, made possible with generous funding from Target, that supports educators with integrating this robust collection of transmedia and virtual exhibits into their existing STEM +Arts programs. Join us on September 23rd to hear from recent workshop participants who have learned how to utilize the Teacher Tool Kit modules. The Educator Training and materials are geared towards grades 5-8. Teach Pre-K through 8th grade students on weekdays throughout the school year. Five Rivers provides your training-bring a love of the outdoors and a desire to work with children on enjoyable, hands-on activities. Basic training is 9:30-12 on September 9th. Find out more information here. 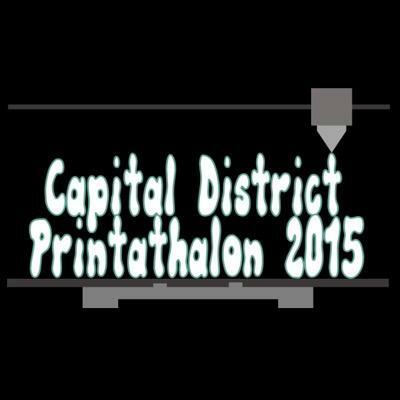 Attend the Capital District Printathalon 2015, an all-weekend 3D Printing Event for the Capital Region! It takes place September 18th-20th. This event is open to the public and is free for ages 18 and under. It includes a 24 hour 3D printing competition, speakers, demonstrations, and more! Find more information and register here. Code.org is hosting no-cost, one-day workshops for K-5 educators interested in teaching computer science. Code.org has developed courses that blend online, self-guided and self-paced tutorials with "unplugged" classroom activities that require no computer. Each course consists of 20 lessons. Workshops will cover courses 1-3 and offer supplies needed to teach the courses. Find out more information here, register here for the NYC September 19th workshop, or here for the NYC October 3rd workshop . Creating a World of Possibilities, is February 7-9, 2016 at the Marriott Marquis Hotel in New York, NY. The Global Forum will be an opportunity to bring together the leading educators, researchers, advocates, authors, practitioners, and related-industry leaders from across the globe to exchange best practices and innovative approaches for academic excellence and the healthy development of girls. Submit a proposal to present on your area of expertise by September 25th here. Attend the Department of Energy Education and Workforce Development's STEM Mentoring Cafe in November! It's in New York City at the Intrepid Sea, Air & Space Museum. Help engage middle school students in STEM and their teachers with federal STEM professionals through mentoring. Find out more information here. The ACM-W New York Celebration of Women in Computing Conference (NYCWiC) is set for April 8-9, 2016 at the Fort William Henry Hotel & Conference Center in Lake George, New York. Save the date and find out more information here . On August 18, 2015, the NY STEAM Girls Collaborative held the second New York Smithsonian Latino Virtual Museum (LVM) Educator Training. The training was hosted by Pace University - School of Education in Pleasantville, New York. Read the rest of the blog post here . NGCP, a founding partner of the Million Women Mentors (MWM) initiative, is announcing more than 140,000 new science, technology, engineering, and mathematics (STEM) mentor commitments from over 20 states. The FabFems Directory is full of women who are ready to get out there and be role models for youth in their community. Connect role model/mentor needs in your community to FabFems and invite STEM professionals to join! Join the largest and most comprehensive directory of STEM opportunities and programs by registering your program with The Connectory! The Connectory is a free online collaboration tool for STEM program providers to find partners based on interests as well as a platform to showcase your STEM opportunities to families. FHI 360, IMPAQ International, and the New York Academy of Sciences are leading a capacity-building project for the National Science Foundation to support the groundwork necessary to advance research and practice on girls' math identity. In June, they convened a select group of researchers and practitioners. It was streamed live online and the recorded proceedings are now available. They invite you to further the work of this interdisciplinary Networked Improvement Community (NIC) by joining them at www.girlsmathidentity.org to learn more. Why is engaging girls in STEM or STEAM careers important to you? Earning a Bachelor of Science Degree in Computer Information Systems and Business Administration provided me with real world skills and the ability to problem solve. Also, I learned that you don't have to be a geek being a computer major. In addition, women are underrepresented in STEM careers and are outstanding candidates to fill these high tech jobs. There are so many STEM/STEAM career opportunities for girls to explore; careers they may have never dreamed about. By engaging girls at a younger age, it allows girls to discover, understand the relevance of STEM, and become excited and passionate about pursuing STEM/STEAM studies and ultimately a STEM career. Inspiring our youth is very rewarding when you witness the excitement and enthusiasm among the students. Everyone should consider becoming involved with NYSTEAM as there are so many opportunities based upon your commitment level. Marjorie Lee Brown, born on September 9th, was one of the first African American women to receive a PhD in math. Marjorie helped support high school math teachers and was a professor at North Carolina Central University. She focused on math education for minorities and women, a very important field!